Happy 4/20! The Body Shop has a dope deal today! 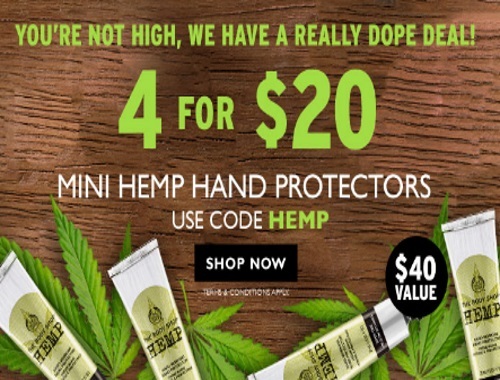 Get 4 for $20 on their mini hemp hand protectors! Enter the promo code HEMP at checkout online to get the discount. Offer is valid April 20-23, 2017.